All Action Limousine completely understands today’s travel aches especially when you’ve got so many choices. But not all provide what you’re looking for. If you want a stress free journey then no other service matches the standards of Chicago limousine service. Getting a taxi at the airport will make your stressed out journey even more stressful. When it comes to Chicago limousine service, we have become the ideal choice for our clients. 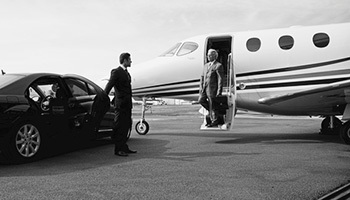 Our Chicago car service is planned in a way that the chauffeur reaches the airport before you land. The flight monitoring system helps chauffeurs track your schedule in order to adjust to any flight delays. All you have to do is provide complete flight details and leave the rest to us. If you’ve just landed at the airport and are concerned with how to reach your destination then our Chicago limousine service is the solution to all your worries. All Action Limousine provides a luxurious limo service to midway airport and limo service to O’Hare airport with complete safety and comfort. Our main goal is to provide transportation services in Chicago airports in the friendliest and the most welcoming atmosphere. We are dedicated to providing and are known for the best car service in Chicago. We have committed ourselves to provide safest, reliable and cleanest private car service in Chicago. All Action Limousine aims to build and maintain high traveling standards for all of its clients at the most affordable rates. Planning to travel with your friends to or from the airport? Chicago limousine service is known as a family vehicle and will fill up with your luggage without any hassle as it has ample space to carry your travel essentials. Our professional Chicago limousine service will assist you with your luggage. So, sit back and relax! Now you don’t have to waste extra money on luggage handlers at the airport. We value our passenger’s time and the energy they put in to find the car after having a tiring journey so, the chauffeur would be waiting for you at the baggage claim area and will walk you to the car. The meet and greet service while picking you up from the airport is specially planned to make you feel special and at ease with the chauffeur. We’ve got the latest fleet of black car service in Chicago to ensure your safety and security. A variety of models and sizes, each properly equipped and maintained with the latest advancements. In order to avoid any uncertainty, our Chicago airport car service constantly monitors your flight status to ensure timely arrival of the driver. We guarantee you that our Chicago limousine service will provide you with world-class traveling experience that would be safe, efficient and reliable. Whether you are traveling alone or with family, you can get the car of your own choice from our variety of amazing and latest vehicles. Have you forgotten to reserve a ride or there are last-minute changes to the plan? Don’t sweat! Our Chicago limousine service takes urgent bookings in case of any uncertainty or emergency as well. So, what are you waiting for? Book your ride with just a click and leave the rest to us!